Taking corporates to task - how does proposed new law stack up? A Deferred Prosecution Agreement with the US was part of the Keppel resolution for bribery offences. Singapore will also introduce DPAs. Will it mean getting tougher, or going easier, on companies? A legal tool applying to the prosecution of companies came onto the radar of Singaporeans amid the bribery scandal involving Keppel Offshore & Marine (KOM) last month - that of Deferred Prosecution Agreements (DPAs). It was in the spotlight after the subsidiary of government-linked conglomerate Keppel Corp reached a global resolution with the authorities in the United States, Brazil and Singapore over corrupt payments made by its former agent in Brazil. As part of the resolution, which included paying fines of US$422 million (S$553 million), KOM accepted a conditional warning from Singapore's Corrupt Practices Investigation Bureau, and entered into a DPA with the US Department of Justice. With a DPA, an errant corporation charged by a prosecutor is allowed to have the charge deferred, subject to agreeing to pay a financial penalty and to abide by several conditions including supervision of its practices for a period of time. This means a DPA would help reform an offending corporation through the supervision and conditions imposed for a particular period - instead of solely imposing deterrent punishment. And it is now being proposed in Singapore. Law Minister K. Shanmugam earlier this month said a framework for DPAs is one of several suggested amendments to the Criminal Procedure Code (CPC) and Evidence Act due to be presented in the form of a draft Bill. 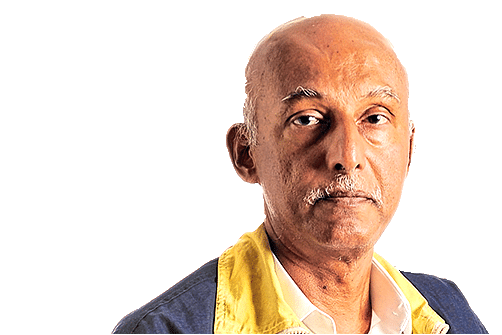 Mr Shanmugam said: "It's about time we had DPAs here where corporates can be taken to task and (where) they could pay a much higher sum compared to what the criminal law provides." He was speaking during a briefing to lawyers about the proposed amendments to the CPC, of which the DPA is but one of some 50 items. Under the proposed framework, the public prosecutor can apply to dismiss the charges a company faces, provided it agrees to meet certain specified conditions, often including a financial penalty, in exchange for not being prosecuted. Although the draft Act has not been made public, Mr Shanmugam has indicated that the deal will have to be sanctioned and supervised by the court. However, one of the challenges that the introduction of a DPA framework faces is this: Will it be seen as a softening of Singapore's strict criminal justice system, known for making no exception when it comes to punishing grievous wrongdoing? Or will it be viewed as a calibrated response designed to recognise the evolving corporate environment? DPAs have been used in the US for more than 20 years. In Britain, it gained traction in 2014. Other countries considering the DPA include Australia and Canada, which concluded a public consultation exercise last month. As described on the Canadian government's website for its public consultation exercise, the DPA is typically "an additional tool for prosecutors, to be used in appropriate circumstances, to address corporate crime". In addition to deterring corporate criminal conduct through effective and proportionate penalties, DPAs are also meant to increase detection and improve compliance and corporate culture. The Canadian consultation notice added: "A DPA regime may also help to mitigate unintended consequences associated with a criminal conviction for blameless employees, customers, pensioners, suppliers and investors. Additionally, in some cases, a criminal conviction could lead to job losses and wider negative implications to the economy." In the US, the crimes addressed by DPAs include economic crimes like bribery, fraud and money-laundering, as well as various offences under company law. Breaching conditions of the DPA by the defendant means the relevant authority will have the discretion to activate a prosecution of the case. Successful completion of the terms of a DPA, including a period of supervision, will result in the relevant authority dropping the case for good. A check showed that the latest corporate to have successfully completed a DPA in the US was HSBC Holdings, which last month announced its five-year-old DPA with the US Department of Justice had expired, according to a Bloomberg report. The DPA was part of a deal that followed in 2012 when HSBC paid a then record US$1.9 billion settlement as part of the deal. Industry players interviewed by The Straits Times supported having a DPA framework proposal as a device to deal with corporate misconduct, but also raised downside concerns. Among other things, they stress such deals should not be a means for offending corporations to buy their way out of criminal liability. Singapore Corporate Counsel Association president Wong Taur-Jiun welcomed the DPA as a "positive development in the administration of justice over corporate bodies, especially those that are not already regulated (such as by the Monetary Authority of Singapore)". He noted most corporate bodies are not regulated by MAS. "MAS only regulates banks and financial institutions. The other big regulator is the Singapore Exchange, but that's for listed companies. And there is the Accounting and Corporate Regulatory Authority but its regulatory powers are relatively limited." He noted: "What good is a financial penalty to a business - and to society at large - if it is not supplemented by a structured scheme to become better corporate citizens?" DPAs enable deserving cases to be given a second chance and "second chances are good because at the end of the day, employees and customers are affected", he said. Compared with court prosecution, DPAs can sometimes also provide a faster track towards justice. It encourages businesses to "come clean early", reducing investigation and prosecutorial costs, while meting out justice, noted Mr Wong. National University of Singapore Business School associate professor of accounting Mak Yuen Teen, who specialises in corporate governance, said DPAs would be meaningful if corporates can face very hefty penalties for corporate criminal offences. Expressing overall support for a DPA framework, Prof Mak also weighed in on cross-border cases, pointing out that while each country has certain customs that companies may need to follow, "we shouldn't sugarcoat it and say that because corruption is normal corporate practice, that it makes it okay". For example, giving gifts or cash in return for preferential treatment in bidding for contracts is considered bribery, he noted. Singapore Management University assistant professor of law Mahdev Mohan pointed to the UK approach which,"like the ministry's proposed framework, places a premium on judicial supervision. In some respects, this (Singapore's) proposed framework seems stricter". Law Society president Gregory Vijayendran argues the DPA is not a "signal by the Singapore Government that it is going light on corporations or applying differing standards of justice for MNCs with deeper pockets compared to individuals". He described DPAs as a "cross between composition and probation for corporations". A composition in legal terms is to pay a financial penalty or fine to avoid prosecution. "For example, some companies whose mens rea (intention) arises out of the blameworthy state of mind of a few errant individuals, desire to put a one-off, aberrational episode behind them and also to put their house in order. "DPAs allow for an amnesty on agreed terms and also avert the stigmatising effect of a criminal conviction. Of course, individual offenders will still have to face the music." He added: "The safety net is that a DPA and its terms in a given case still need to be blessed by the High Court. This high-level scrutiny ensures that the DPA is in the interests of justice and transparency. Also, careful judicial thought is invested in the fairness and reasonableness of its terms." As Mr Shanmugam has indicated, if implemented, DPAs will need to be approved by the High Court, which must be satisfied that the agreement is in the interest of justice and that the terms are fair, reasonable and proportionate. Other issues loom, too, such as how often it might be used, its reach outside Singapore, and how it can be used to address cross-border offences. While introducing a DPA framework sounds like a plus for Singapore's corporate governance regime, the surrounding issues are clearly not straightforward. At heart, the proposed law will have to balance between being strict on wrongdoing, and giving affected companies a chance to fix themselves and do things right. Could Keppel have acted sooner in Petrobras bribery scandal?